On March 25th at 4:30 EST, the Zehr Institute at the Center for Justice & Peacebuilding will be hosting a webinar on the topic of restorative justice. What relevance does restorative justice have within a prison environment? What are the possibilities, and what are the challenges or pitfalls? What happens when restorative values are juxtapositioned with the retributive and control-oriented values that predominate in prison? Who should take the lead in promoting restorative justice there? What do prison-based programs look like? Are there differences in the way it is articulated and received in prison as compared to the work outside? Tyrone Werts was sentenced to life in prison in 1975. In Pennsylvania, where he was sentenced, life means life and commutations are exceedingly rare. In the early 1990s, he was part of the first restorative justice program at Graterford prison. For many years, Tyrone was president of the Lifer’s Organization and provided leadership to many other initiatives in prison. Then, after 37 1/2 years, Tyrone’s sentence was commuted in recognition of his outstanding integrity and accomplishments. Since March 2011, he has been on the outside, working with the public defender’s office and with the Inside Out Prison Exchange Program that allows college students and prisoners to study together. Barb Toews is a long-time restorative justice practitioner and trainer. She was director of a restorative justice program in Lancaster, Pa., before joining the graduate program at CJP. After graduating, she worked for a number of years developing and facilitating restorative justice initiatives, often in collaboration with incarcerated individuals, in Pennsylvania prisons with the Pennsylvania Prison Society. She is now completing her PhD, focusing on the privacy, well-being and the design of correctional facilities. She teaches at Bryn Mawr College and Haverford College, where she uses the Inside Out Prison Exchange Program model. She is author of The Little Book of Restorative Justice for People in Prison and co-editor of Critical Issues in Restorative Justice. You will need to register for this webinar and you can do so here! For additional information, see their web site. 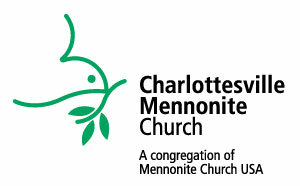 This entry was posted in Justice, Mennonites, Peace, Restorative Justice. Bookmark the permalink.